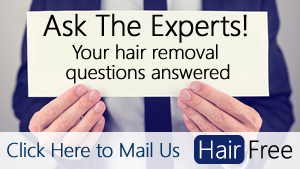 Can Laser Hair Removal Stimulate Hair Hair Growth? Paradoxical laser hair stimulation (hypertrichosis) is a very real phenomena whereby laser application that would usually reduce the amount of hair actually causes stronger regrowth. How could this happen? How often does this happen and what are the risks? Can Laser Hair Removal Stimulate Growth? Yes, in a rare number of cases laser hair removal can stimulate growth. While we don't yet know the exact reason for this, there are enough cases where this has happened for it to be a recognised problem with laser hair removal. The official term for hair growth stimulation resulting from laser hair removal treatment is hypertrichosis​. There haven't been many studies looking at Paradoxical laser hair stimulation. However, one particular study looked at the effects of laser hair removal at one particular clinic on 489 patients. Out of these 489 patients, exactly 3 patients experienced what was deemed to be paradoxical laser hair stimulation. "Of 489 patients, 3 (0.6%, 95% confidence interval: 0.01-1.9%) treated with the long-pulsed alexandrite laser (755 nm) reported increased hair after laser hair epilation." Yet, in another study, the incident rate was much higher than this. 543 patients were treated at the same laser hair removal clinic in Spain and while 80% of the patients noticed substantial hair reduction, 10.5% reported laser induced hair growth. "While nearly 80 percent of patients saw some hair reduction with ongoing treatment, around 8 percent showed no improvement, and 10.5 percent experienced increased hair growth versus baseline"
This is the problem with scientific studies - it's never matter of fact, rather quite messy, with a large number of variables that come into play. What we can say for sure is that the phenomenon is rare and most people won't experience it. This patient was a 39 year old Mediterranean woman with black hair. As is common with all the patients, initially the woman noticed that the laser hair removal yielded positive results yet after a certain period of time (this was undisclosed in the study) she noticed significant hair regrowth on the treatment areas. This patient was a 30 year old white man with black hair on both his arms and his back. The first three laser hair removal sessions yielded a positive result however after six sessions the hair started to regrow. The hair regrowth was only noticed in the areas where he was receiving laser hair removal treatment. Who is Likely to Experience Paradoxical Laser Hair Stimulation? ​We don't have a definite profile of people, however from the study mentioned above the three people all had the same Fitzpatricks skin type (IV). The other commonality was that all patients had black hair. Why Does Laser Induced Growth Occur? We don't have scientific proof as to why laser induced hair growth occurs, however the most popular theory is that certain types of hair, known as "vellus hairs", are stimulated into growth by the light from the laser. The sub-therapeutic affect of the laser stimulates these hairs into growth making them thicker and longer. However, even though the hairs that grow post-treatment are thicker and darker than the vellus hairs originally treated they're still not thick and dark enough to easily get rid of. "The first time I noticed the adverse reactions of the ipl was when I went in for my very first test patch on the back of my shoulder where the hair was light and sparse. Soon after the test patch area grew back it came out thicker and darker and I remeber looking in the mirror comparing both sides of my shoulder thinking "those dark hairs were never there before and why are they only on the one side of my shoulder in the test patch area" and wondering if the ipl did this." "I am new to this website & wish I had read this before I went for laser hair removal. I am a fair skinned, dark haired woman with excessive hair growth. I believe I'm type III. It's mainly vellus hairs over my entire body, but they are noticeable since the hairs are dark. I started getting laser done on my side burns in April 2005 and went until March 07 - with about 6 weeks between treatments. It worked great on the side burns. But then the vellus hairs on my cheeks, adjacent to where the side burns started growing longer and darker. It also was growing along my jaw line." In the face of a severe lack of scientific data, we have to draw our own conclusions based on the evidence that is available. Often occurs in some areas - Hypertrichosis resulting from laser hair removal occurs mainly in facial areas for women and on the back, shoulders and upper arms for men. Frequency is low - The scientific study shows that the frequency of this occuring is as low as < %1. However, professional laser hair removal practitioners and electrologists "believe" that this figure is too low. This is based on personal experiences rather than any scientific data, though, so these reports have to be taken with a pinch of salt. Occurs mainly on darker skin types - It appears that this pheneomena is more prevalent on those with darker skin types. For example, in the study, it only occurred on people with a Fitzpatrick rating of 4. Further laser treatment doesn't stop the growth - from the numerous reports of this happening online, it seems that further laser hair removal treatments don't prevent the growth. In most cases, patients will need to resort to electrolysis hair removal in order to remove hair that has been stimulated by a laser. "Somehow when the follicle is stimulated by subtherapeutic thermal injury, it causes the hairs to become thicker and longer. And we believe this occurs in people who have prominent vellus hairs to begin with." What to do if you Have Laser Induced Hypertrichosis? There is pretty strong evidence to suggest that continuing laser hair removal doesn't help to remove hairs that have been triggered into growth by a laser. Therefore the only way that these areas can be removed permanently is via electrolysis. In fact, many electrologists are reporting that a lot of their customers are coming to them after laser hair removal because they have experienced this phenomena and would like a permanent way to rid the hair from the treated area. This article along with several others I’ve read refer to ‘scientific data’ when speaking about the low frequency of paradoxical hypertrichosis. All the women in my family that have had the treatment have had this happen to them. I am the worst of all cases as I can grow a mans beard now…five o’clock shadow and everything. We are Mediterranean. My friends who are Mediterranean and have had this done, also have had the same side effect. It’s not that rare and I warn any woman who has olive skin/type iv skin (light – does not burn, but does tan), not to get laser removal done on their face. The risk of the embarrassment i have to go through on a daily basis is not worth it! The hair growth is so extreme that I have to carry tweezers with me everywhere i go in case one grows out too long during the day even though i pluck every night. This is not an exaggeration. Hello Asia – thank you for your comment and I’m sorry to hear that you had this happen to you. Would you mind sharing some more details about what you had done, which type of laser and whether it was professionally or using a home kit? I’m interested to learn more about this – maybe, as you say, there is a link between this type of paradoxical hypertrichosis and Mediterranean genetics. Another person of Mediterranean descent experiencing increased growth after laser. I had my legs done professionally a few years ago and all was fine, so I bought a home machine for upper lip and chin. It’s definitely worse now, and as I did it myself, I can tell that it’s in the exact places I used the laser. Sorry to hear about your issues. Given that the upper lip is a relatively small area, you might wish to consider professional electrolysis. Results are guaranteed and permanent and there’s no danger of regrowth. I don’t understand the comment about practioners saying take this with a grain of salt. I am of Indian decent and I got it done on the area by my side burns and it increased the growth. It’s so much more hair then what I started with and the dr just said to keep doing it which in my opinion is silly because wouldn’t that keep stimulating more growth? I think Drs should take this more seriously and inform their patients that this a very real side effect that can happen. I also think they should be better educated on how to help people that experience this. Is there anyone out there that had this happen and successfully treated it with a form of permanent removal? Thanks. I’m sorry to hear about the hair growth that you’ve experienced. While quite rare, there do seem to be a small segment of the population that have this kind of response, although we don’t really understand why. It might be worth consulting with a local electrologist to see if this area would be suitable. Electrolysis is the only permanent hair removal method but it’s only really suitable for smaller areas of the body, which seems to be the case here. There’s no possibility of hair stimulation with electrolysis and it doesn’t matter how dark/light your skin tone / hair color is. This happened to me as well with my lower face and neck. I had a lot of vellus hairs before and only a scattered few dark hairs. I wanted to be smooth so I sought treatment. It really damaged my self confidence as a woman to have a beard shadow. After reporting increased hair growth I was essentially dismissed. I have gone in for several electrolysis treatments but do not feel that my first electrologist was trustworthy. I felt like she plucked more hairs than she treated to draw out the number of sessions I needed. I will try again with another professional but it is really expensive. Hi – no it shouldn’t increase hair growth, however there are a small number of cases where it has. There is little scientific evidence to give you a conclusive percentage figure other than to say that it is rare. Currently, there is no definitive explanation as to why this happens or for whom it would be more likely. I am sorry that I am not able to be more specific or reassuring. My advice would be to research thoroughly before commencing a treatment plan to find a reputable, experienced practitioner and prepare a list of questions for them. Only go ahead when you are completely happy and comfortable with your choice.